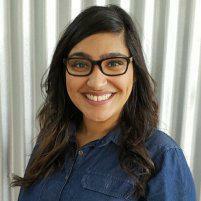 If you’re looking for individualized optometric services and top-quality vision care products, visit experienced optometrist Alisha Poonawala, OD, at Pack Optical in Fort Worth, Texas. Dr. Poonawala provides a range of unique, durable, and stylish eyeglasses and sunglasses as well as various types of contact lenses. Dr. Poonawala uses the latest technology, the highest quality brands, and the most innovative designs to give you plenty of choices for correcting your vision. Enhance your vision by calling Pack Optical or by scheduling an appointment online. What are the different types of eyeglass lenses available? Pack Optical offers the latest designer eyewear collections in a range of fashionable colors, styles, and materials, including stainless steel, plastic, and titanium. There are a number of different frames and lenses to choose from. Anti-reflective lenses eliminate glare and allow more light to get to your eyes. Transition lenses respond to changing light and protect you from the sun. They turn darker when you transition from being indoors to the bright sunlight outside, acting like sunglasses. Progressive lenses typically have three prescriptions in one pair of glasses. With one pair, you can see objects that are near, far, and in between. Progressive lenses are sometimes called multifocal lenses. The transition between the parts of the lenses is seamless and shows no lines, unlike many of the traditional bifocal and trifocal lenses. Progressive lenses can effectively correct your vision at all distances. Polarized lenses have a special filter that decreases glare and blocks intense reflected light. To correct your vision, bifocal lenses have two distinct viewing areas and points of focus, such as distance and near. the thickness of the lenses as well. Frames can be adjusted with special in-office methods. Pack Optical also offers prescription sunglasses that can protect your eyes from harmful ultraviolet radiation.